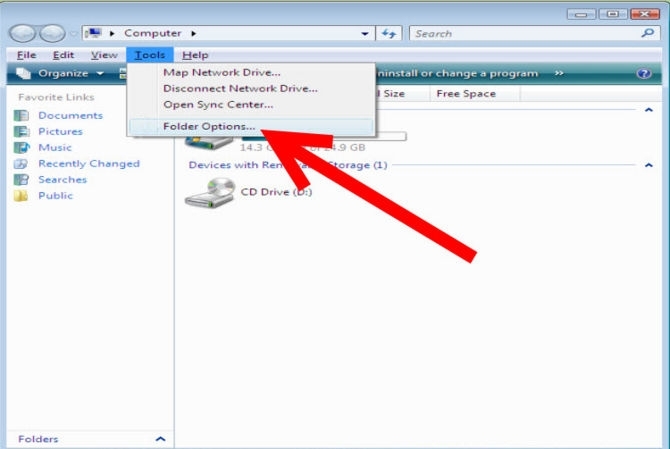 How to Delete/Remove Autorun.inf Virus from USB pendrive or Hard Drive Disk in Windows: Do you complain about a file named “autorun” being created automatically whenever you insert a USB to your PC? You try to delete it each time but it recreates itself. You try to scan it out through your antivirus program but it is unable to detect it. You feel helpless. It becomes quite frustrating.There is nothing you can do to deal with it. So, I’m gonna help you out of it. I will tell you the procedure to remove Autorun.inf Virus from your USB or Hard disk. Let us first know what is this Autorun.inf Virus. 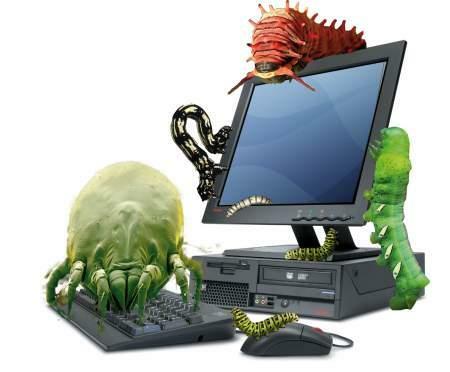 A virus is any program in computer which causes instability in its functioning. As the name says, Autorun Virus is a program which uses the autorun feature of your Windows OS. This features helps you run USB devices, CD-ROM and any other peripheral devices. Whenever you open a removable drive or your internal hard drive, the autorun.inf virus starts executing. It spreads from one drive to another drive. Thus, creating unwanted dump files in you Windows OS. This slows down your PC and affects its performance. It may also connect to malicious site and install key logger in your system. The key logger would reveal your private information like username, passwords, social information etc. It would also decrypt your important files. Hence, it is necessary to remove/delete autorun.inf virus from your USB or hard disk drives in Windows. Open command prompt in your system. (Press Windows + R. type cmd and press ENTER). A window will appear in your screen. Type “cd\” (without inverted commas). The root directory of C:\ drive will open. Now, type atttrib -h -r -s autorun.inf and press enter. Then, type del autorun.inf and press enter. Repeat the process with each drive i.e D:/, E:/, etc. Then, restart your computer. Your PC is now free from autorun.inf virus. After removing the autorun file from each drive, restart your system immediately. Don’t open your drives in between the process or else you will have to do the same entire steps again. Sometimes Command Prompt will return an error “File not found autorun.inf”. It is because the selected drive would not contain the virus. So, leave that drive and execute for the next one. If the above process did not help, then opt for this…. Click on My Computer in your desktop. Then at the top menu tool bar, Go to Tools>Folder Options. A new window will pop up in your screen. Go to VIEW option and Check “Show hidden files and folders”. 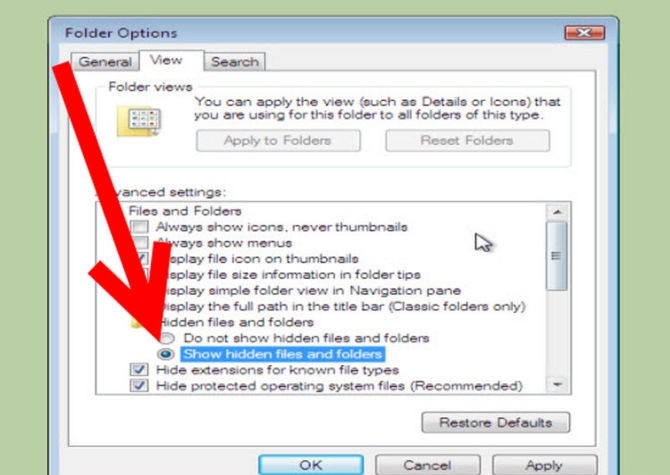 Now, uncheck the option “Hide protected Operating system files”. Click OK.
Now, open registry editor. Press Windows + R and type regedit for it. 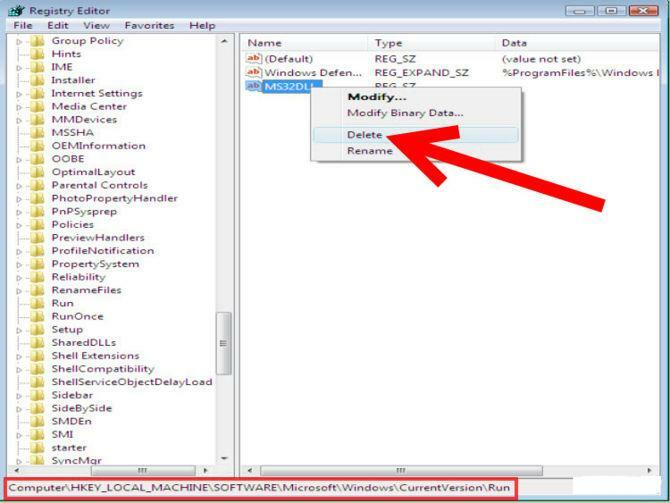 Now, delete MS32dll entry in the right pane. (Right click on the entry and delete it). Delete the entry “Hacked by Godzilla” in the right pane. Now, close Registry Editor window. Go to RUN dialog box and type gpedit.msc to open Group Policy Editor. Go to User Configuration>Administrative Templates>System. 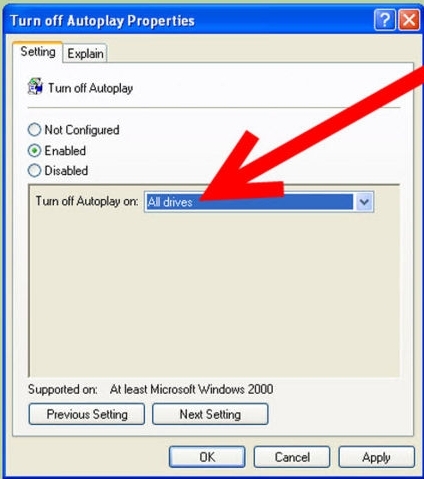 Enable Turn off display for all drives in the right pane. Now, type msconfig in the RUN dialogue box. 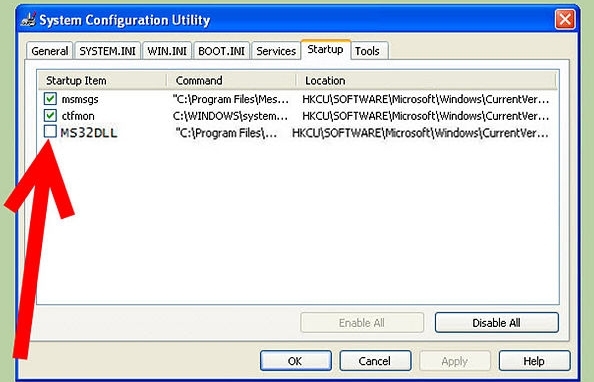 It will open the System Configuration Utility Window. Go to startup tab and and uncheck MS32DLL. Click OK. (If it prompts to RESTART, do not RESTART now, Click on exit without restart). Now, again go to My Computer. Select tools at top menu again and check Hide Operating system files and shoe hidden files and folders. Delete all the files in recycle bin. Restart your system. Your PC is now free from Autorun.inf virus. Important Note: After removing the autorun file from each drive, restart your system immediately. Don’t open your drives in between the process or else you will have to do the same entire steps again. There are softwares available on internet which can remove autorun.inf virus from your system. One of them is Autorunremover. 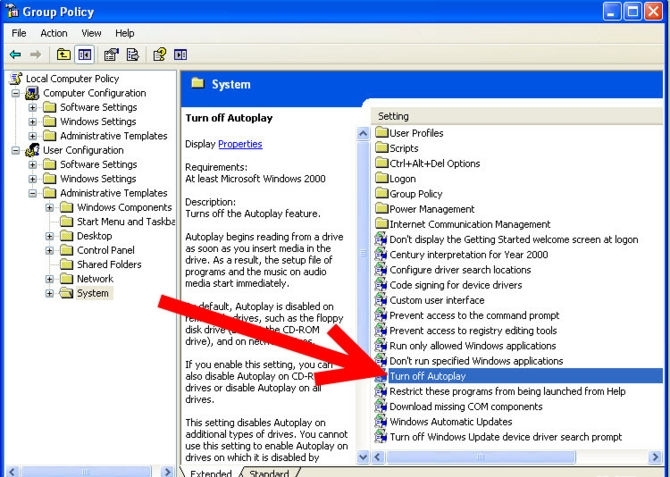 It successfully removes autorun.inf virus from USB or hard Disks in Windows 7/8/XP/Vista. Previous articleShiva the time bender game apk file free download, android phones and tablets.